Big changes took place this year in the AHS Library. Long time and well loved librarian and technology coordinator, Ellen Donaldson, retired and I stepped into her shoes. A new librarian, Amanda Massey, was hired to take my place. Even though I knew Ms. Massey had never been a librarian before, I just had a feeling she would be awesome; and she is! One thing Ms. Massey has done is to help create an effective organizational structure for our student library aides. 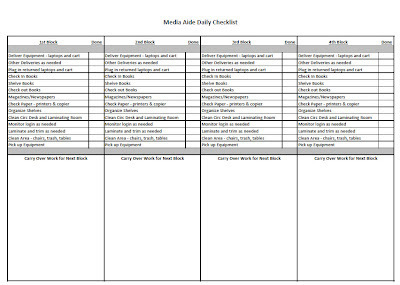 First, she has created a daily tasks check off sheet so that aides know immediately what tasks need to be completed. 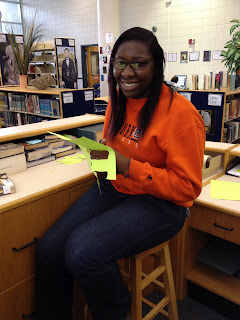 Tasks for our student library aides can range form deliveries, laminating, cutting out letters for bulletin boards, updating magazines and newspapers in the periodical section, shelving books, checking out books, answering the phone, etc. 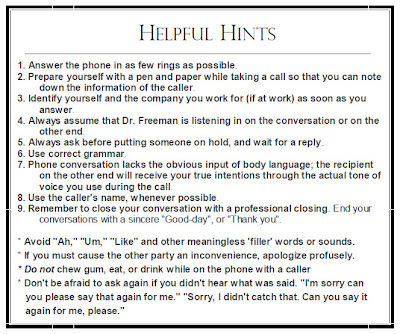 One thing we quickly found out is that students have no idea how to properly answer the phone! 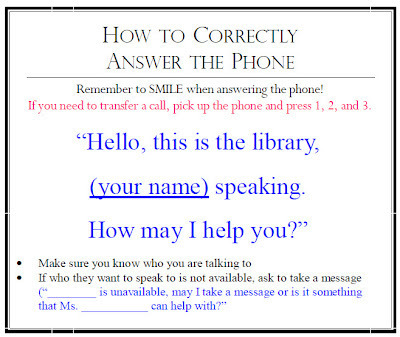 Ms. Massey created a script for students to follow and has recruited teachers to call the library during their planning blocks to give our student library aides some practice. I can't wait to see what other great changes Ms. Massey will bring to the AHS Library this year! Ms. Amanda Massey in action.